What Is Involved in Horse Breeding? We are not just about horses here at Northcote but we also focus on the many different types of events and competitions that the various types of horses participate in. Our hope is that the information that you enjoy here will encourage you to become more involved in the equine industry. There are many different ways that you can do this. You can become a horse owner and become actively involved in many of the different competitions that we have outlined here. Or, if you prefer to remain as a spectator then after reviewing the different posts that we have here you will have a greater insight as to what kind of enjoyment is waiting for you. There are two major categories in the horse industry which comes down to those interested in Western events and those that are interested in English events. Both are equally exciting. We also talk about the different types of horse betting events that you may want to participate in. Horse betting is most exciting and can also be very lucrative financially. There are some great online opportunities for doing this. 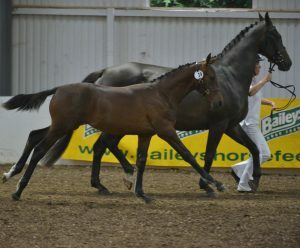 Something that is very important to the equine industry is the breeding of these animals. If all of the horse events of today are to remain popular and exciting then the breeding of the horses that participated in them is highly important. Here you will find some very interesting information as to what horse breeding is all about. It is something that supports the horse industry and something that those interested in the equine world should be aware of.